There's been a lot of anger and fear swirling online recently; A.I. is taking on more human qualities (if only the reverse were true); what's next for the autonomous vehicle revolution; make customers want your email; an influencer who doesn't influence; preparing for a social media crisis; the Amazon con is over; Walmart has some improvements to the purchase experience; just as the public is conflicted about it, Facebook is facing its own dilemmas; Halloween week saw zombies like QR codes and Flickr rise from the dead; Netflix is trying for an Oscar; half of U.S. households will have a smart speaker this year; Uber will pay for drivers to go to college; a new online scam; data exhaustion is real; the origins of the dunce cap; a documentary film that needs your support; plus the podcast pick of the week and MUCH more in the Fear and Loathing edition of The Full Monty for the week of November 5, 2018. The Full Monty makes you smarter faster, by curating the essential business intelligence every week. Links are below with commentary in italics. Please sign up for our email updates to make sure you don't miss a thing. And check out The Full Monty on Flipboard. Please be sure that you're also signed up to get some timeless wisdom from my main site. I'll continue the Top Story theme in tomorrow's post over there. Last week, I talked about being too big to fail (but not really) and how remaining nimble and flexible is a must in a fast-paced environment. Imagine my surprise and delight when The New York Times serendipitously published Farhad Manjoo's column How Mark Zuckerberg Became Too Big To Fail. Fear and anger are powerful motivators. As the U.S. midterm elections reach their apex on Tuesday, the rhetoric from one corner is filled with scare tactics about a caravan hundreds of miles from the U.S. border, driving fear into residents as far north as Minnesota, according to one NPR segment (because that's where Honduran migrants naturally settle, evidently). Whether in business, politics, or personal relationships, fear gets results. It's easier than having to build trust and unity over a prolonged and sustained effort. Hence, fear-mongers are so reluctant to give up their quick and effective tactic. In the last election cycle, anger was the motivator and was effective as well, as we've seen. And like fear, it's irrational. It doesn't take into account facts or likely outcomes. We've seen this only amplified in recent years online. Conventional wisdom pegged social media as a great connector, allowing people to communicate and collaborate in harmony. The reality is the social web does better at spreading hate. It turns out there's big business in outrage. Regardless of your situation, resist the temptation to be outraged. Control only what you can. Think logically. Then take action. 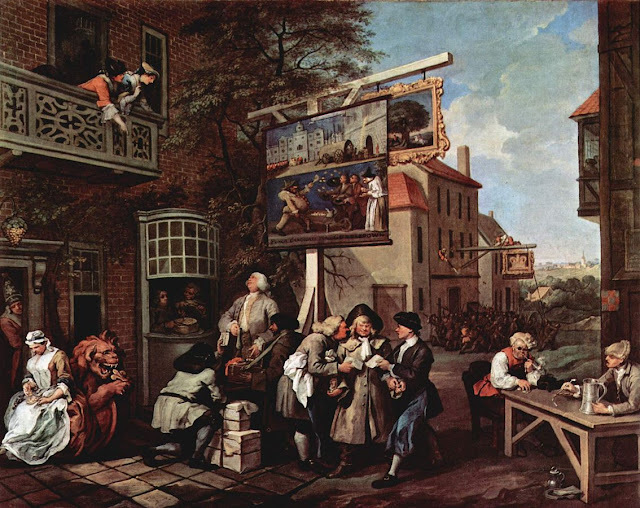 About this week's image: In 1754, William Hogarth created a series of four paintings conveying the election of a member of Parliament called The Humours of an Election. This image, Canvassing for Votes, depicts Tory and Whig agents, both attempting to bribe an innkeeper to vote for them. The crowd outside the tavern is visible in the background. In a reference to the antisemitism of the crowd behind, a Jewish peddler is being employed by another agent who is offering jewels and ribbons to the wives of voters. The soldier on the left margin and the sailors on the right represent uncorrupted patriotism. Always looking for recommendations for venues to share my stories. I connect our digital selves with classical influences, pointing out the universal human truths that can unlock the secret of retaining and growing customer relationships. Feel free to contact me to discuss speaking to your organization or at an event you've been to recently where you think I might stand out. IDEA: if you're looking to save some of your training and development budget and don't feel like sending multiple members of your team to a conference (high prices, time away from the office, questionable content), I've got an option for you: bring me in for a roundtable experience with your team for an hour or a half day. Google software engineer Cliff Young explains how the explosion in deep learning algorithms is coinciding with a breakdown in Moore's Law, the decades-old rule of thumb of progress in computer chips, forcing radical new computer designs. (ZDNet) Deep learning works. How will people and machines learn to co-exist as machines become more like humans? (AdWeek) I'm still waiting for the part where humans learn to co-exist with each other. Oxford University researchers developed an A.I. system that mimics human society to better understand what causes sectarian violence. The model has thousands of agents representing various ethnicities, races, and religions. (BBC) Just in time for the elections. The California Department of Motor Vehicles (DMV) has just granted Waymo the first permit in the state to begin driverless testing on public roads. (Medium) We'll see how long it takes one of those to get frustrated with L.A. traffic. The $4 trillion disruption: what's next for the autonomous vehicle revolution. (Axios) A deep dive into this multifaceted issue. Specialized ad agencies are cropping up to meet the direct-to-consumer brand boom. (Digiday) I wonder if they operate on a subscription (retainer) basis? Believe it or not, QR codes, Bluetooth, and RFID aren't dead for marketing purposes. (Fast Company) We've just figured out ways to make them more useful. That is "I'm getting betterrrrr!" How to make customers look forward to your email. Customers who purchase through emails spend 138% more than those who don’t receive them. 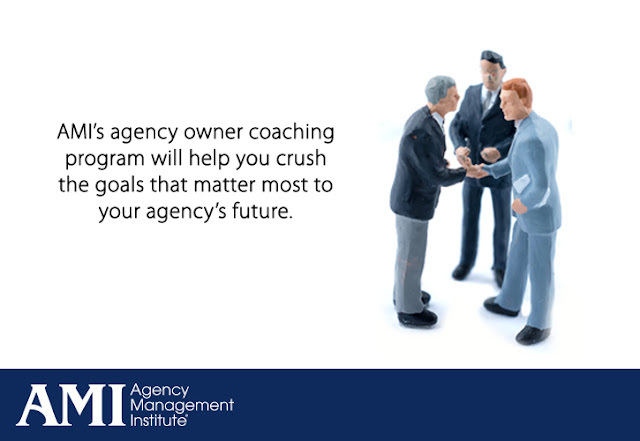 (Marketing Insider) Courtesy of Michael Brenner. Luka Sabbat, a 20-year-old actor and model with over a million Instagram followers has been sued for $90,000 by the powerful fashion public relations firm PR Consulting for failure to influence. (Variety) He might want to work on his acting skills. Recode and Vox.com are joining, putting tech and business reporting under the same roof. (Recode) Smart move here, as tech news is becoming more intertwined with mainstream news. And let's face it: many in society could use a dose of understanding of tech to help them make better decisions, whether they're regular citizens or lawmakers. Amazon is in advanced talks to put HQ2 in Northern Virginia. (Washington Post) This puts nearly an end to over a year of speculation and abject begging by municipalities to let Amazon accept their bribes tax breaks at the expense of schools, fire departments and other facilities. What do J. Crew, Neiman Marcus, Bed, Bath & Beyond, and J.C. Penney have in common? Like Sears, they need to succeed this holiday season. (USA Today) Now taking bets. Despite ups and downs in the subscription commerce segment, it's still a subject of great interest in the retail industry. Lessons from Subscription Commerce Companies. (eMarketer Retail) Which makes the news of D2C agencies above all the more dicey. Workplace, Facebook's counterpart to Slack, is moving onto a website domain separate from Facebook.com in an effort to build trust with customers. (CNBC) Good call on that trust thing. Let's make sure every division (and executive) gets the memo. There's an exodus going on at Facebook: 44 percent of users ages 18 to 29 deleted the app from their phones in the past year. (CNBC) Think it might have to do with trust? The joke's on the youngsters, though: they're still using Facebook-owned Instagram. It's official: WhatsApp will be showing you ads. (Gadgets Now) With the exit of the WhatsApp founder last month, who could have predicted this? Investigative reporters posed as 100 U.S. Senators in order to run ads on Facebook. Facebook approved all 100 of them. (Vice News) Well that escalated quickly. It's a good thing there aren't elections this week. Frontline ran a two-night special event called The Facebook Dilemma. The film looked at whether Facebook is more harmful than helpful. (PBS) One might ask that of the leadership as well as they struggle to address this issue that is clearly beyond their means. "[Y]ou can tell a lot about a product by how it makes money. Giving away vast amounts of storage creates data that can be sold to advertisers, with the inevitable result being that advertisers’ interests are prioritized over yours...SmugMug, the photography company that recently acquired Flickr from Yahoo, has long had a saying that resonates deeply with the Flickr team and the way we believe we can best serve your needs: 'You are not our product. You are our priority.'" Netflix released the final season of House of Cards last Friday. The streaming era owes much to House of Cards. It introduced the concept of binge-watching, among other things. (Variety) Smart move too, releasing the final season just before Election Day and during the change to Daylight Saving Time, when we'd have an extra hour to watch. Close to half of all U.S. consumers will own a smart speaker after the holidays. (Variety) "Alexa, what's your market share?" Program of the Week: Our pick this week is Annotated, Book Riot's audio documentary series about books, reading, and language. Thanks to Rebecca Romney for the tip. And don't forget about The Full Monty podcast, our own 5-minute weekly business commentary. Try this: "Alexa, play the latest episode of The Full Monty." A 'sextortion' scam uses stolen passwords and blackmail, demanding payment in bitcoin. (Fox News) Sounds like a Black Mirror episode. Uber has expressed contrition over the accident that killed a pedestrian earlier this year, and hopes to reopen its autonomous driving efforts in Pennsylvania, petitioning state officials. (Washington Post) Makes sense, given the Waymo announcement in California. But a little grabby on the heels of the apology, isn't it? Feel-good story of the week: A doughnut store owner had to keep working long days and couldn't visit his ailing wife. So the neighborhood starting buying out all of his doughnuts in the morning so he could leave early. (Orange County Register) And you know, doughnuts. When was a word first used in print? Get your accelerometer (1875) ready, Merriam-Webster's Time Traveler tool is quite capacious (1606) in that regard. And that's no baloney (1922). My friend Bryan is making a first-of-its-kind full-length documentary film about what to expect when you're adopted or adopting. (IndieGogo) Can you help support this film that will touch so many lives? Episode 55: How Do You Define Charm?